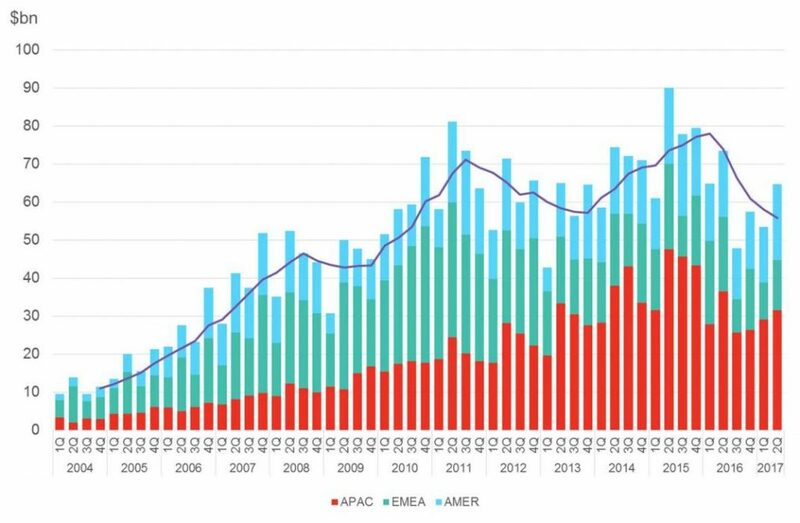 The second quarter of 2017 saw $64.8 billion invested in clean energy around the world, up 21% from 1Q this year, but down 12% compared to 2Q 2016. All values nominal. This includes investment into all asset classes except EST asset finance and R&D, which are compiled on an annual basis only.